Rested in a manicured meadow, a beautiful rustic barn awaits your celebration. The Barn in the Meadow offers a charming setting with a relaxed atmosphere where you can enjoy good conversations and laughter. Here, majestic sunsets can be observed near the pasture of the barn as you share your monumental occasion with us. Whether it's a pot luck dinner or a catered event, we are here to make your event one you can remember for a lifetime. We believe your event should be easy and stress free, so that's why we're here to make it happen. Whether you are tying the knot, celebrating a corporate event, or anniversary, let our venue make it something lovely and extraordinary. Located in Amarillo, Texas on 15 acres between Amarillo and Canyon. Call today at (806) 290-6874 to schedule a tour of the barn. If you're seeking a beautiful, serene location for your wedding or event, you have found it with The Barn in the Meadow. Here you can enjoy extraordinary Texas sunsets across the vast countryside. As a rustic barn with a touch of elegance, you will be greeted with southern hospitality to ensure your event runs smoothly. Our barn can accommodate up 150 guests. We also house a full-sized kitchen! 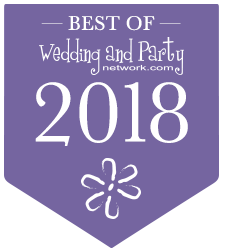 Our goal here at The Barn in the Meadow is to help you create a lasting moment you can cherish forever. We offer our stunning barn venue as a location where you can celebrate your event in style and elegance.